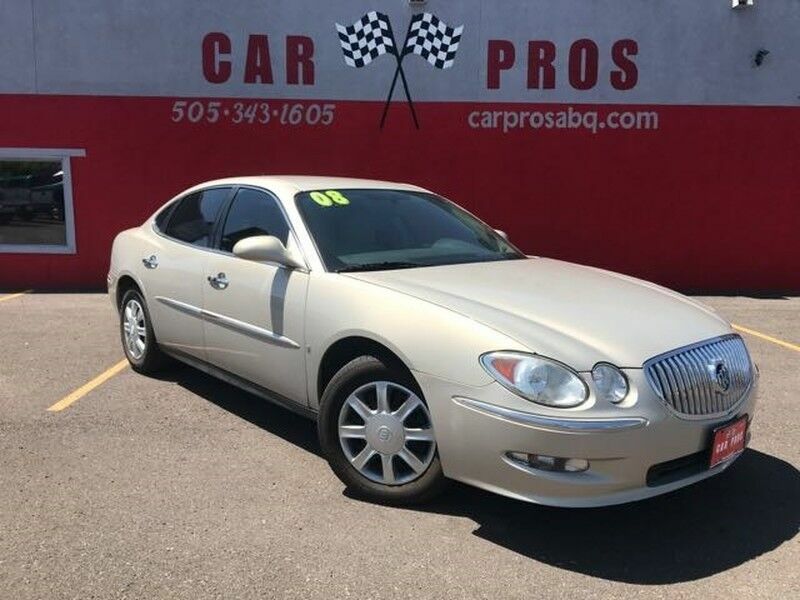 Our 2008 Buick LaCrosse CX in Gold presents a mid-size vehicle that handles like a dream. It was engineered to offer an agreeable balance between a supple ride and confident handling. This CX comes with a 200hp 3.8 Liter V6 that's paired with a 4 Speed Automatic transmission. On the highway, it rides smoothly and soaks up bumps as you'd expect a midsized family sedan to do. Drivers love Buick's hushed cabin, simple controls, comfortable ride and performance. With its stately grille and shapely body, our LaCrosse is attractive without being gaudy. The dash design is clean and elegant. Take a look at our features list and you'll agree there is much to love in our CX. Our Buick LaCrosse features standard full-length side curtain airbags and anti-lock disc brakes. In government frontal-impact crash tests, the Buick LaCrosse earned five stars. Print this page and call us Now... We Know You Will Enjoy Your Test Drive Towards Ownership! We deliver all over the country! Check out our 5 star reviews on Facebook, Google and YELP! This vehicle qualifies for great financing. If your credit is not the best, we go out of our way to get you the financing that best fits your needs. Extended warranties and GAP insurance are also available. Financing is OAC. We are located at 5029 4th St NW Albuquerque NM 87107. Call now at 505-343-1605! !